Length: 156mm. Image shows assembled and painted kit. 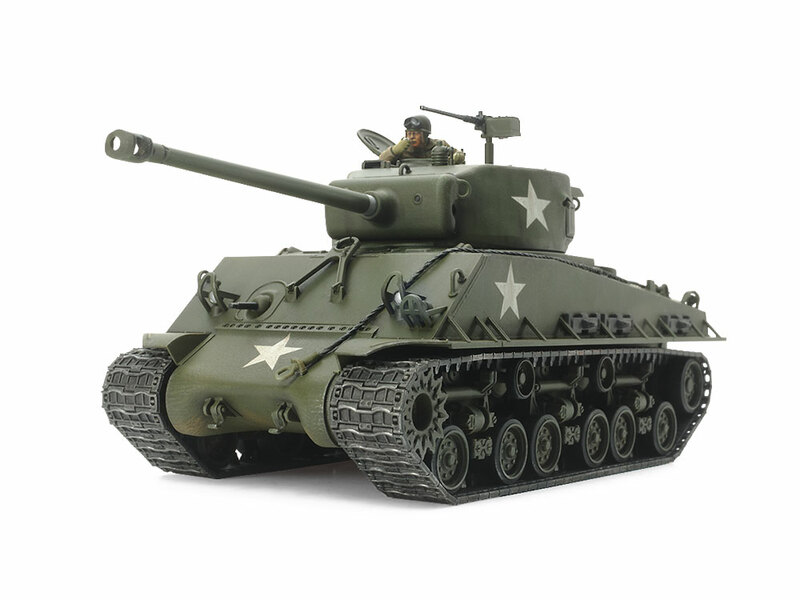 The U.S. M4 Sherman tank was undoubtedly one of the symbols of WWII, deployed in great quantities and numerous variants to counter the potent threat of German armor. 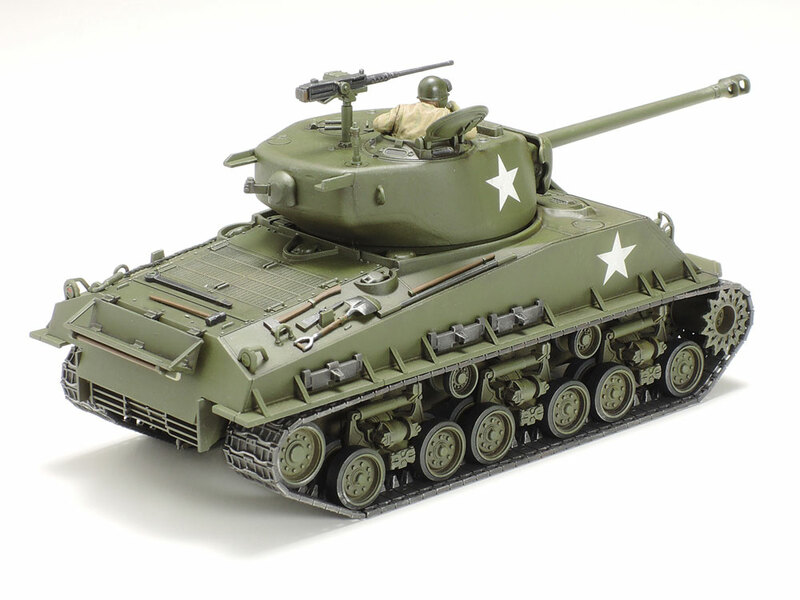 One such variant was the M4A3E8, which was one of the final Sherman types and thus had the benefit of design improvements developed from experience in battle. These included a hardy welded late production hull, plus the welcome addition of the 76mm main gun. It was also fitted with new Horizontal Volute Spring Suspension (HVSS), and wider tracks, making for the significantly more comfortable ride that led to the M4A3E8's nickname of "Easy Eight." They were thrown into their maiden operation in the Battle of the Bulge in December 1944 as part of the 4th Armored Division under General Patton's overall command, contributing to the relief of the besieged town of Bastogne and the eventual triumph of the Allies in the European Theater. ★This is a 1/48 scale plastic model assembly kit. Length: 156mm, width: 62mm. 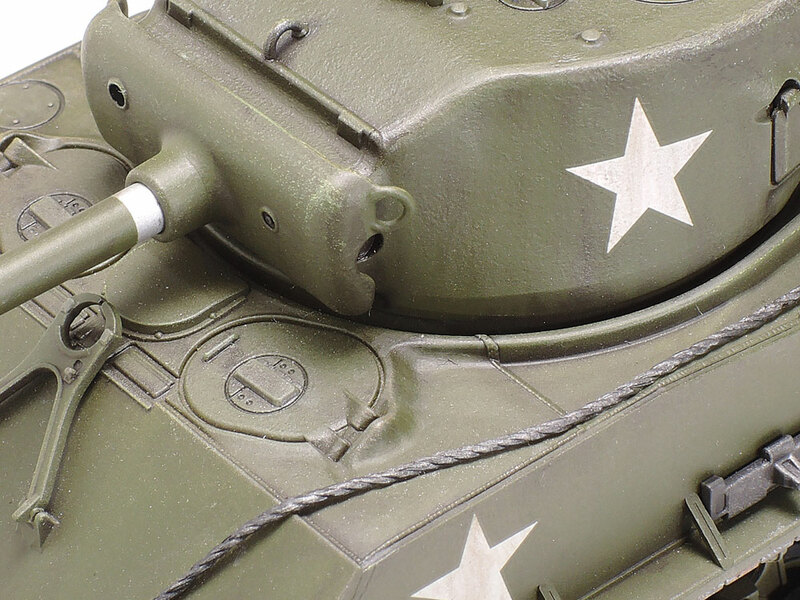 ★The form of a World War II M4A3E8 is accurately captured in compact 1/48 scale. ★Superb detail across the model, notably on the HVSS, engine grilles and rear deflector. 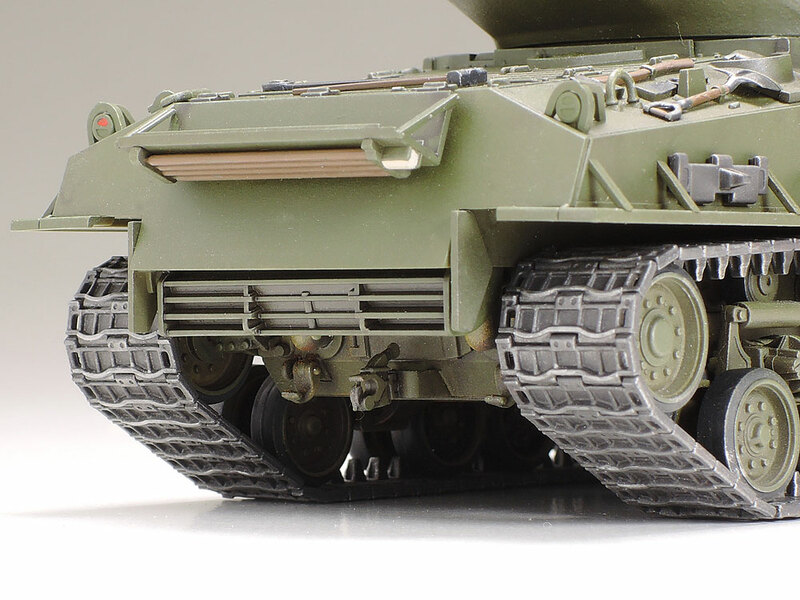 ★T66 tracks are depicted in assembly form, with one-piece straight sections. ★Interior weights give the model a realistically heavy feel. ★Comes with a commander torso figure and 2 European Theater marking options. ★The model is packed with detail, just one of the highlights being the numerous accessories on the fenders. 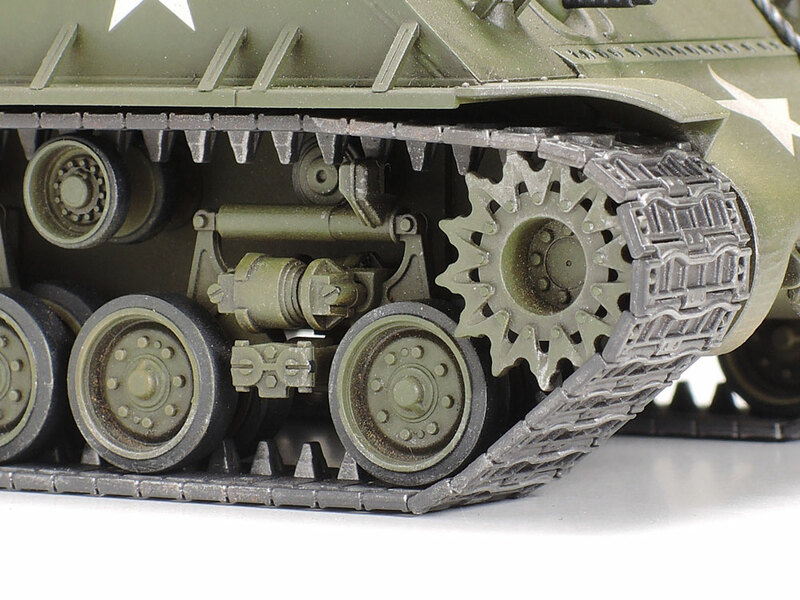 ★Parts accurately capture the different surfaces of the M4A3E8, such as the texture of the cast turret. ★Assembly type single pin T66 tracks have one-piece straight sections. The HVSS has a realistic air. 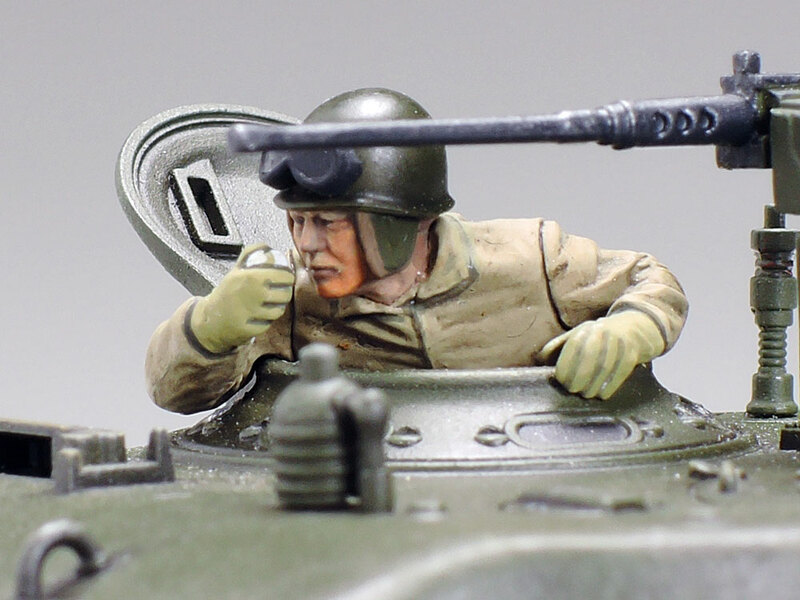 ★A torso figure is included to depict a commander in action pose, raising the detail of the kit even further. ★There is plenty to marvel at on the rear of the model, such as the sharp depicition of the deflector. 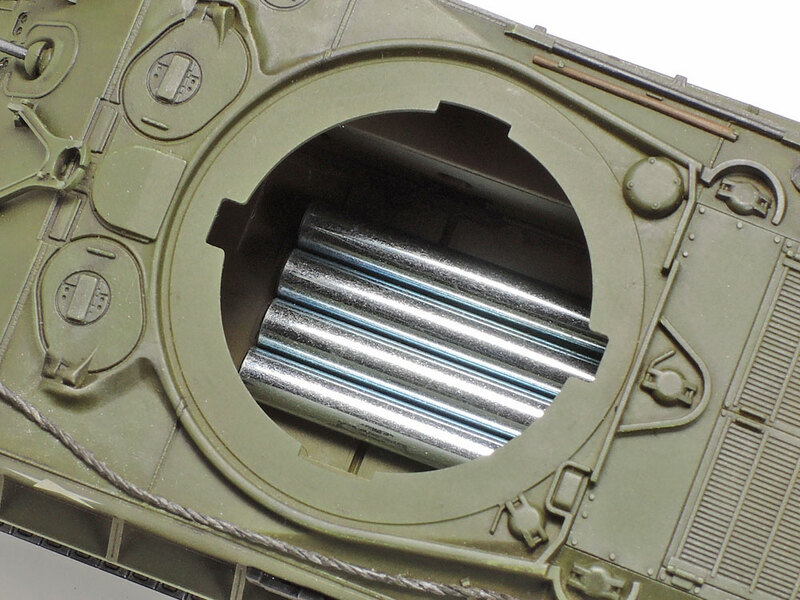 ★To give the model a realistically heavy feel, weights are included in the kit for installation in the hull. Tamiya Color paints for painting the 1/48 U.S. 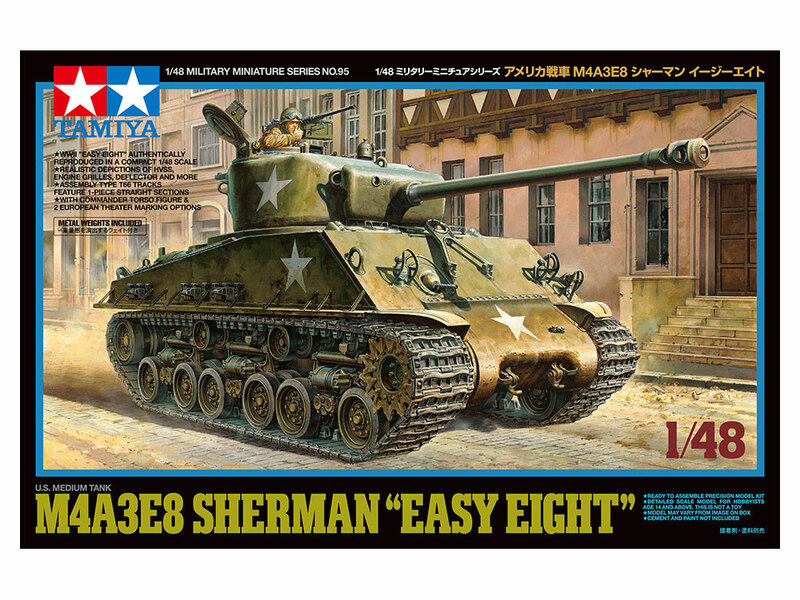 Medium Tank M4A3E8 Sherman "Easy Eight"